Education Game News. Nonmetal Elements. P42 Release date 05.07.2014 year. On focus the first Planeta 42 game in chemistry category - Nonmetal Elements. 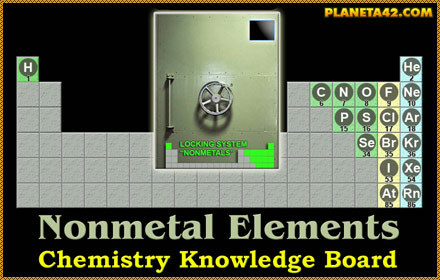 This is a fast tile game to arrange the nonmetas in the periodic table. All type of elements are separated in different apps, to be easier for players. There is a one time hint to indicate when an element is in correct place.